I remember that Fourth of July like it was yesterday. I can still feel my gut sink when I remember how I watched out the front window at my parents’ house as the state police car approached the driveway, red lights whirling, but the siren strangely silent. That’s the moment I learned first-hand what the silent siren meant. That’s also the moment I learned what it means when two somber officers walk to the front door with heads down and hats in hand. I was 26, the oldest of eight living children. My parents, siblings — including twins who were only 6 — my two young children, and a bevy of aunts, uncles and cousins had gathered for a Fourth of July barbecue. It was a joyous celebration – Marcus was home to regale us with his side-splitting, humorous stories of of the rigor and rituals of the Armed Services and life in general. He was the darling — the nucleus — of the family. 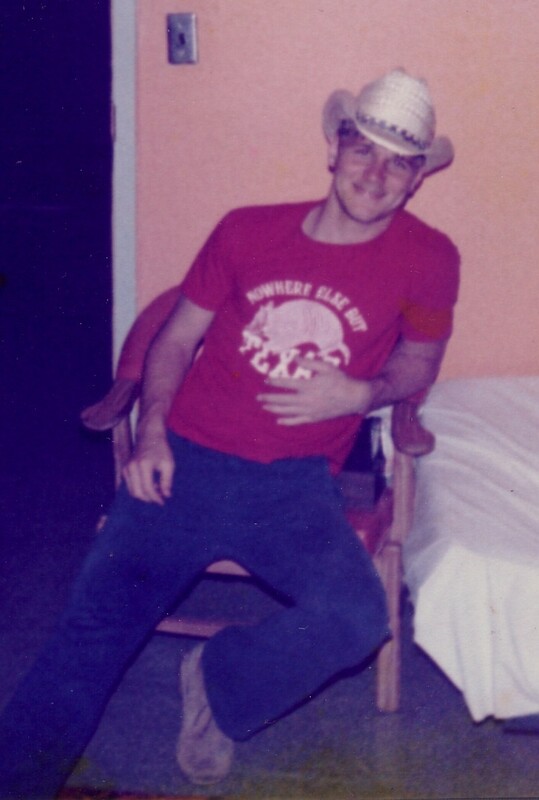 My brothers, sisters and I would all probably have to agree that he was the most handsome, talented, intelligent, creative and wittiest one of us all. Marc had just returned from Mexico and brought back gifts for everyone, a wool poncho, blankets, sombreros, and — for dad — a large bottle of Mexican tequila with a fat worm lying at the bottom of the bottle. Mom frowned her disapproval. To the delight of the younger ones, he fished out the dead worm and offered to cut it up and let each kid have a bite. They squealed in horror and he laughed. He also played “Monster” with the little ones — a game he made up — where he was the Monster and the kids had to run and hide or defend themselves and slay him. They loved it. Some of his old high school friends stopped by and talked Marc into going canoeing at Chain O’Lakes State Park. He was reluctant — he was having a good time with the family — but mom urged him to go and have fun with his friends. He could visit with everyone when he got back, she told him. It was the last time we ever saw Marcus. Two hours later, he drowned after jumping out of the canoe and racing his buddy, Mike Dell, to shore. Mike later told us that they both dived in, but Marcus, an excellent swimmer, never resurfaced. There was no autopsy, so we never knew exactly what happened. My family had never known tragedy until that day. 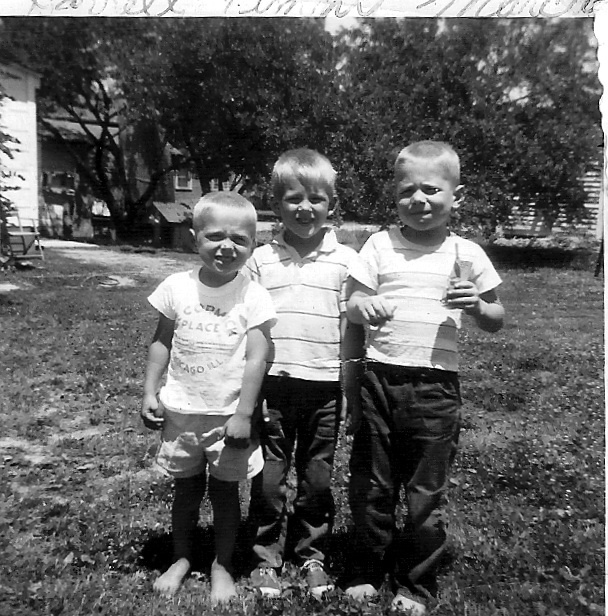 Marcus at right, with brother, Darrell, at left, and cousin, Timmy, in 1963. Rescuers had tried to resuscitate him, but it was too late by the time they found him. Nearly 30 years later, while interviewing a source for a newspaper story, I found out that the man I was interviewing — Department of Natural Resources officer Gary Bontrager — was one of the men who came to our door that day. He told me the other one was Indiana State Trooper John Barrett. I was shocked. I knew both men well and had no idea they were the ones who had delivered the terrible news of my brother’s death. All I remembered was the pain. My dad aged ten years in the three days it took to bury his golden-haired son. His shoulders stooped, and his hair seemed to gray overnight. My mom did not fare much better. They never fully recuperated. There was never another family get-together or barbecue on July 4th. The older siblings who had children would dutifully take their kids to the fireworks, but to us it was never the Fourth of July — it was the anniversary of Marc’s death. 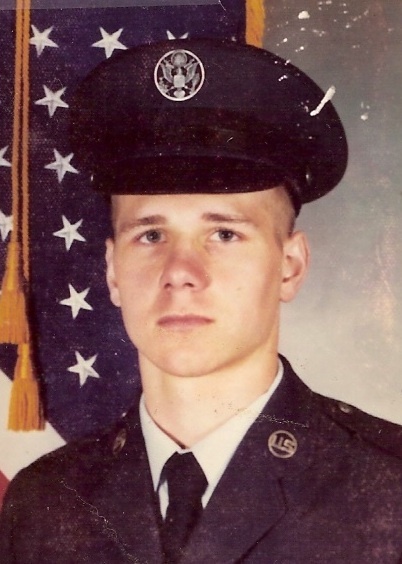 The Air Force gave my brother full military rites. As they folded the flag that had been draped over Marcus’ casket and handed it to my mom and dad, jets from Grissom Air Force Base flew overhead in a “V” formation framed in a brilliant blue sky. A friend of Marcus’ played “Taps” on his trumpet, choking up several times and having to start over. An Air Force officer read a poem — something about how this child was not ours to keep, but only loaned to us for a short while. It was sunny without a cloud in the sky, but we saw nothing but clouds. Marc’s friend, Mike, suffered tremendous guilt for years, agonizing over what he could have done, what he should have done, but none of us blamed him. Our hearts broke for him. Life sometimes deals a horrible hand, one beyond understanding — and no one is to blame. Mike later moved to Oregon and had his own charter fishing business. He was out at sea one day, a storm came up and he never returned. They never recovered his boat or body. Dad died in 1999, Mom in 2012. They are buried next to Marc. I like to think they are all together again. Maybe Marc and his friend, Mike, are entertaining them with stories of their earthly adventures. He was only with us for about 21 years, but they were wonderful years – a glorious, short while.